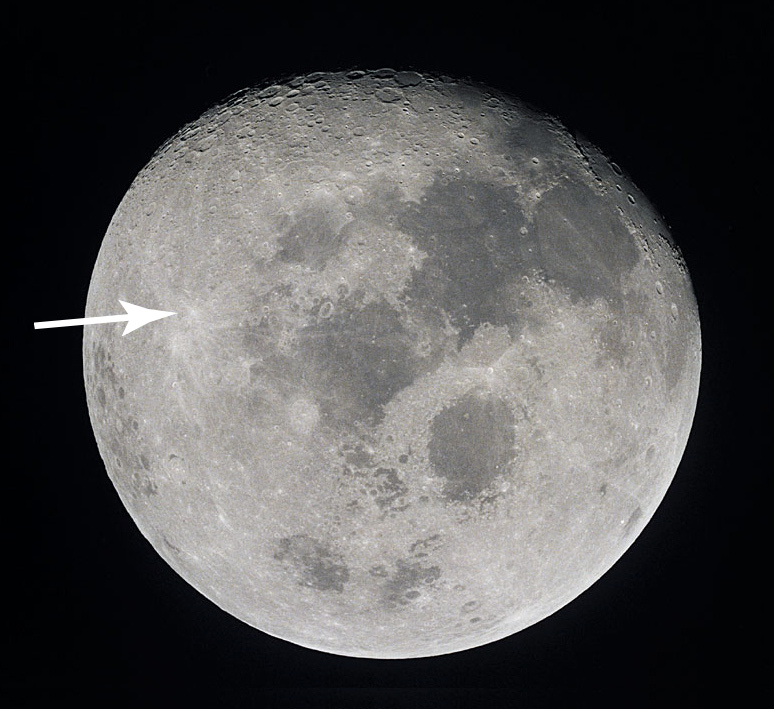 Image of the Moon captured during the Apollo 10 mission. The arrow points at nothing in particular. Ever since the first measurements were made with the Passive Seismic Experiment instruments that were placed on the Moon during the Apollo 14 mission it’s been suspected by a few open-minded thinkers that our natural satellite could have an empty interior. This is based on the early statement that the Moon “rang like a bell” during moonquake events. Now, an international team of researchers has reported that the Moon is really just an empty oblate spheroid—a vacuous interior surrounded by several hundred kilometers of gunpowder-flavored crust. What does a hollow Moon mean for us? Since we’re all here today and so far things have turned out relatively OK (Brexit and the 2016 U.S. presidential election notwithstanding) not much. But future astronauts will have to watch out that they don’t dig too deep lest they break through…or suffer the fate of the dwarves. These findings were presented on April 1, 2017. Editor’s note: if you arrived at this article by way of an internet search or are from a country outside of this tradition, this is an “April Fools” joke. The Moon is not hollow (although there have been people who actually made that claim) and the research noted was fabricated. There were several seismic experiments set up on the Moon though, and Apollo 10 most certainly went there! If you fell for this last year, I sure hope you didn’t this year too. I’d like a explanation as to why the moon fails to appear like a sphere that reflects light.